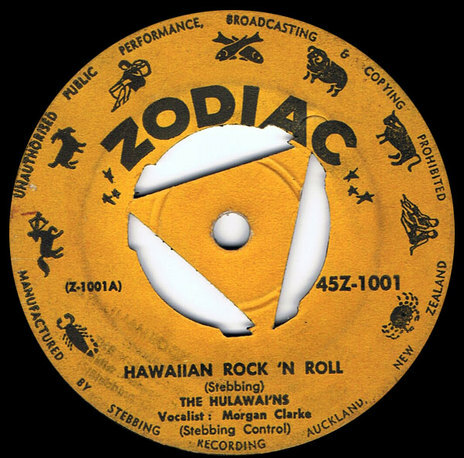 I don’t think there’s much argument that Eldred Stebbing’s Zodiac label, which operated under that name, and then as Key, from 1957 to the early 1980s, is likely the most important record label to have set up shop in New Zealand. There was, of course, an earlier label operated by the Stebbing family under that name, which released 78s from the 1940s to the early 1950s. However, this entry is mostly concerned with the later, post rock and roll, label of the same name. Eldred and brother Phil worked as partners until 1954 when they fell out and there was a brief break until late 1957 when Eldred started releasing discs on his own, the brothers having resolved their differences (Phil would write songs for Eldred's releases in the early days of the new operation). Thereafter it was Eldred, with wife Margaret, and later his sons Robert and Vaughan, who owned the Zodiac label. It remains in the family. Not only did Zodiac record and release countless crucial and important NZ acts, it also provided recording facilities to many other acts that appeared on other labels, both in Eldred's basement studio in Saratoga Avenue, and after 1970, in the Jervois Road, Herne Bay studio that Stebbing Recording Centre and the Zodiac label still occupy. 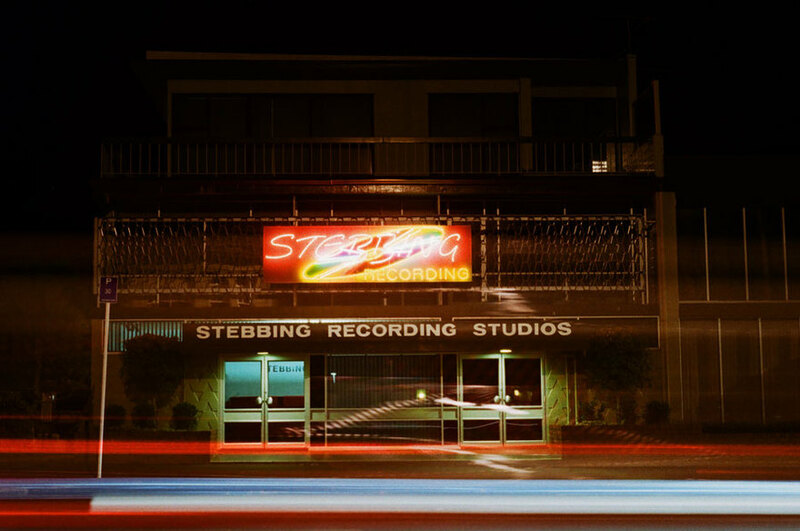 Along with like-minded pioneers like Phil Warren and the earlier Tanza and contemporary Viking and Allied International, it was the beginning of a New Zealand owned recording industry that has exploded in the decades since. Before Saratoga Ave, recordings were done in the Stebbing home in Methuen Rd, Avondale, as well as the Pacific Building in Auckland's Queen Street (where the ASB now is, near Wyndham Street) and just about anywhere else Eldred could fit his Grundig recorder. 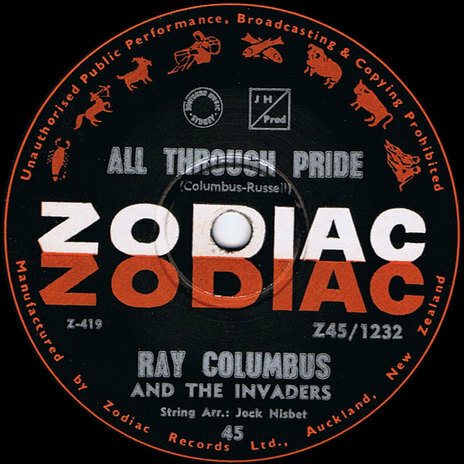 Zodiac was the first New Zealand label to have an identity outside the national shores, and the first to have a No.1 hit (Ray Columbus & The Invaders’ ‘She’s a Mod’ in 1964) anywhere else. The catalogue is filled with iconic New Zealand singles and songs that have become part of the national landscape, and it’s obvious that taking risks was a big part of what Eldred did, whether consciously or instinctively. But for all that, the catalogue below is patchy in places – there are many singles that make the casual viewer step back a little, but I guess there were bills to pay, and Eldred’s obsession with the novelty and the MOR often turned into huge money-spinners. And the Hawaiian fixation of the early years apparently was reflected in the crowds at the dance halls in Auckland in the late 50s. 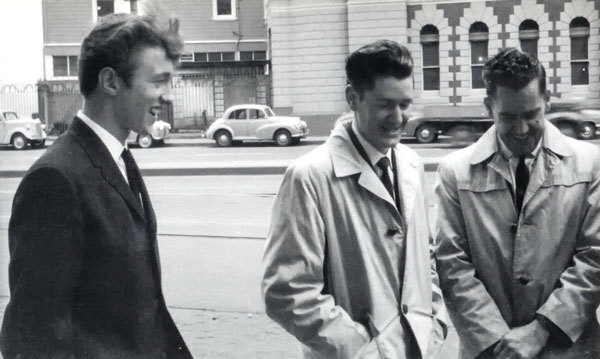 Which makes another point: Despite the presence of big non-Auckland names on the roster, this was primarily an Auckland label, with many of the singles from 1963 onwards reflecting what was big in the Auckland beat club scene that Eldred both had an interest in as a club owner, and was immersed in. Some of these singles were never available outside the Auckland area. It’s from 1963 onwards that the label really got interesting and where its reputation largely lies. One wonders who would’ve recorded many of these acts if Eldred hadn’t. The answer is mostly no-one, as the other labels that followed were all very much in the shadow of Zodiac. It’s impossible to do justice to Zodiac in a short piece like this, nor to Eldred Stebbing and his drive and vision. Neither can we cover the range of talent Stebbing brought together – like the enigmatic Englishman John Hawkins whose production talents made the likes of The La De Da’s ‘How Is The Air Up There’ sound like it came from another, wilder, planet. A book on Zodiac, written by AudioCulture writer Grant Gillanders, is scheduled for release in 2017, and a detailed singles discography can found here, from where this entry is adapted.